Kinshofer’s HPXdrive powers the D04HPX, D06HPX and D09HPX, and provides a greater power-to-weight compared to competitive attachments. 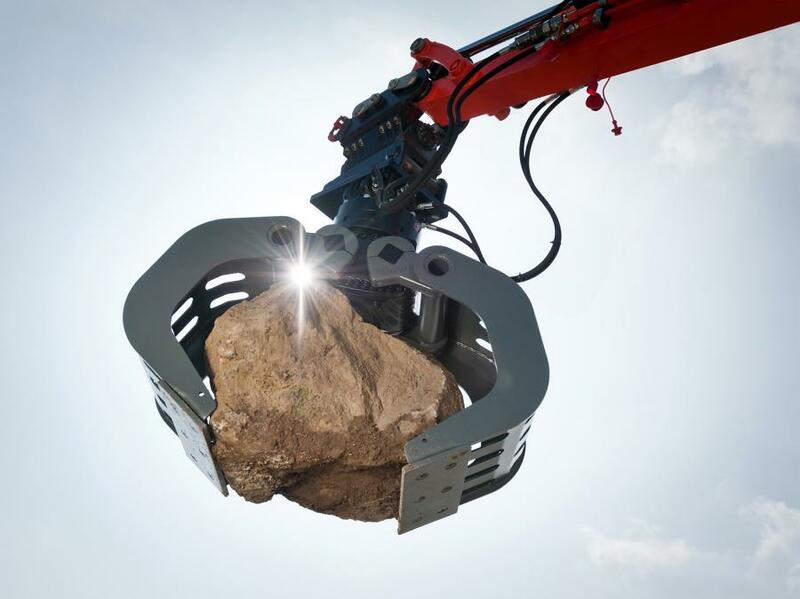 Kinshofer, a global manufacturer of high-quality excavator and loader crane attachments, offers its D-Series grapples with a new light, compact and flexible shell, ideal for sorting and demolition. The attachments feature 360-degree endless rotation for precise positioning to give construction, demolition and recycling contractors optimal control when grabbing materials. 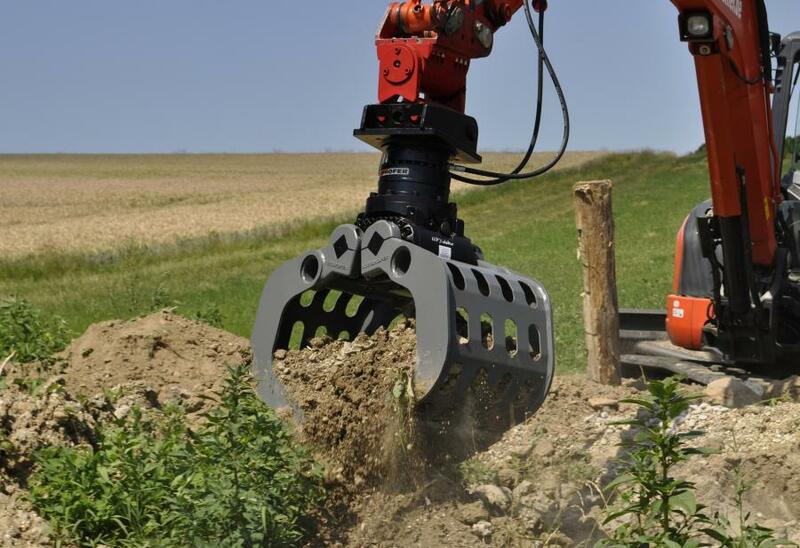 D-series grapples are available for 4,400-pound (2-ton) to 176,000-pound (80-ton) excavators. Conventional heavy-duty hydraulic cylinders with hydraulic damping protection power the D-Series, while Kinshofer's HPXdrive powers the D04HPX, D06HPX, D09HPX and D35HPX. The cylinderless HPXdrive system provides constant closing force compared to competitive grapples and reduces overall cost of ownership by about 50 percent compared to conventional models, according to the manufacturer. The D-Series streamlined design offers a compact footprint, ideal for working in tight areas, such as urban demolition sites. Meanwhile, the grapple's robust Delta-box frame provides durability and reliability for demanding applications such as quarries and large-scale demolition. And regardless of conditions, the grapple's dust-proof axle bearing points keep out dust and debris. To prevent overloading, the D-series is equipped with pressure relief valves as well as a perforated shell design that filters fine dust and gravel while keeping larger pieces in the shells. If an operator overworks the grapple, the shells flex to avoid structural damage. The grapples also feature a non-return valve to keep the load secured even if a pressure drop occurs, ensuring safe operation. For handling small-grained bulk material, such as sand and gravel, Kinshofer offers side plates. Customers also can equip the grapples with a compression rail adapter, which allows the attachment to handle and position delicate materials, such as curbstones, without damaging them. Kinshofer backs the attachments with a two-year warranty. Kinshofer is one of the world's leading sources of attachments for excavators and loader cranes. Founded in Germany in 1971, the Kinshofer Group includes the Kinshofer, Demarec, RF Systems, Auger Torque and Solesbee's brands. 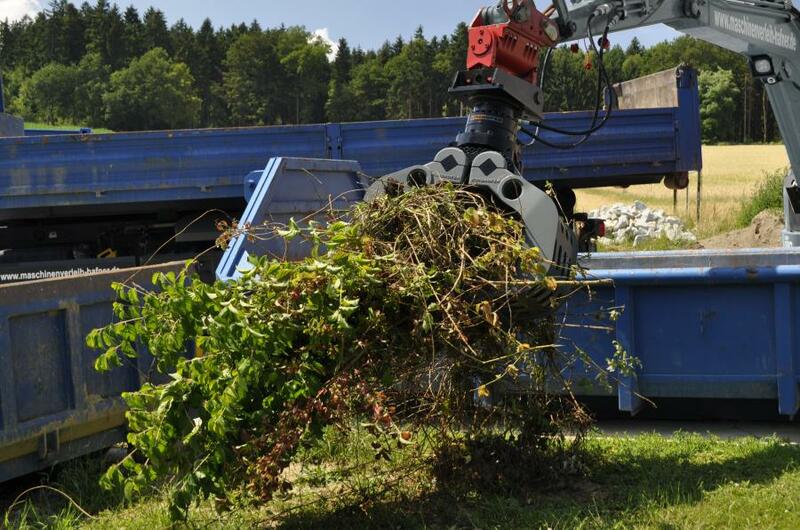 Kinshofer offers a wide product range with just about every type of attachment for equipment carriers with and without hydraulics in industries as diverse as scrap, demolition, railway, landscaping, construction, snow clearing, excavating, road building, forestry, tire recycling and biomass.